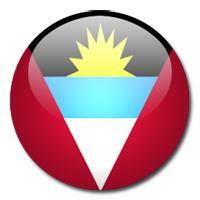 Antigua and Barbuda (country). In this country there are 5.80 metric tonnes of carbon dioxide emissions per inhabitant, its per capita income is 13,961.20$, in addition, its external debt is 359.80$, its forest area is 98.00 km², it has achieved 0 olympic medals, according to the World Bank, its birth rate is 2.10 childs, 58.00% of its population has Internet access, it has a population about 90,903 inhabitants, the area is about 440.00 km², the capital city is Saint John´s, consume 5,000 barriles de petróleo, produce 0 barriles de petróleo, tiene unas reservas de 0.00 barriles de petroleo, dispone de 0 centrales nucleares, en su ejército dispone de 7,800 personas en activo, la potencia eléctrica que consume es de 310 kw-h, un total del 20.50% de su terreno está dedicado a agricultura, its GDP is 1,204,713,088.00$. There is information in Classora Knowledge Base about 13 rankings, reports and surveys. By means of the blue color, you will be able to identify rankings of informative nature.